Asia Pacific Beacon Technology Market is estimated to be over USD 25 million in 2016 and is expected to register an excellent growth between 2017 and 2024, growing at a CAGR of over 100%. This exponential growth is attributed to the increasing penetration of smartphones in the major markets such as India, China, and Japan along with the growing inclination toward proximity marketing technologies in the retail sector. The Eddystone platform is projected to register the fastest growth in the Asia Pacific beacon technology market, growing at a CAGR of over 100% during the forecast period. The protocol relies on Physical Web URLs for transmitting the content. Managing and editing web content become very easy due to the Physical Web URLs along with the seamless integration of social media content. The BLE technology held the majority market share of over 75% in 2016. The technology enables the acquisition of more accurate location information compared to NFC, GPS, and Wi-Fi. The technology is projected to exhibit the fastest growth during the forecast timeline, growing at a CAGR of over 102%. China dominated the Asia Pacific beacon technology market in 2016 with the majority market share of over 25%. 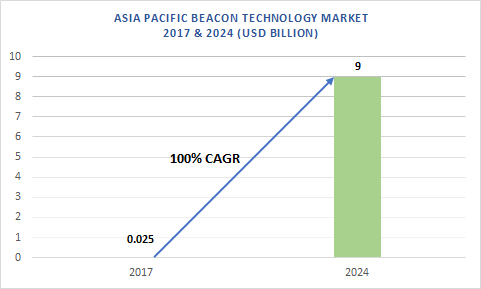 Such widespread adoption of the technology is expected to foster the growth of the Asia Pacific beacon technology market. With an extensive presence of smartphone manufacturers and the availability of low-cost smartphones, the adoption of beacon technology is anticipated to increase significantly over the forecast timeline. The companies operating in the Asia Pacific beacon technology market are focusing on deploying extensive beacon networks for the retail sector. For instance, in 2015, Bluetooth beacon provider Sensoro linked together 110,000 BLE beacons across China. The deployment was intended to provide a single platform for marketers to send highly relevant and targeted marketing messages to their customers. 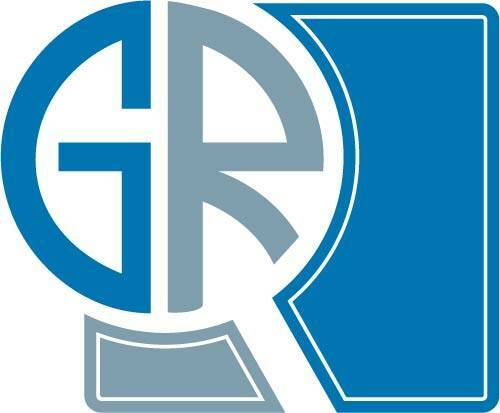 Some of the companies operating the Asia Pacific beacon technology market are Google, Apple, Glimworm Beacons, Sensorberg, Estimote, blueSense Networks, Kontakt.io, Onyx Beacon, Beaconinside, Madison Beacons, Gimbal, RECO, BlueCats, Swirl, Texas Instruments, and Radius Networks.